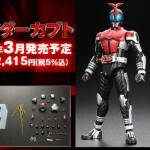 Bandai has released new of the recently announced Figure Rise 6 inch Kamen Rider kabuto and Faiz model kits. 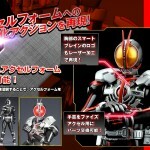 The images gives us a closer look at the accessory count and both will include a display stand. 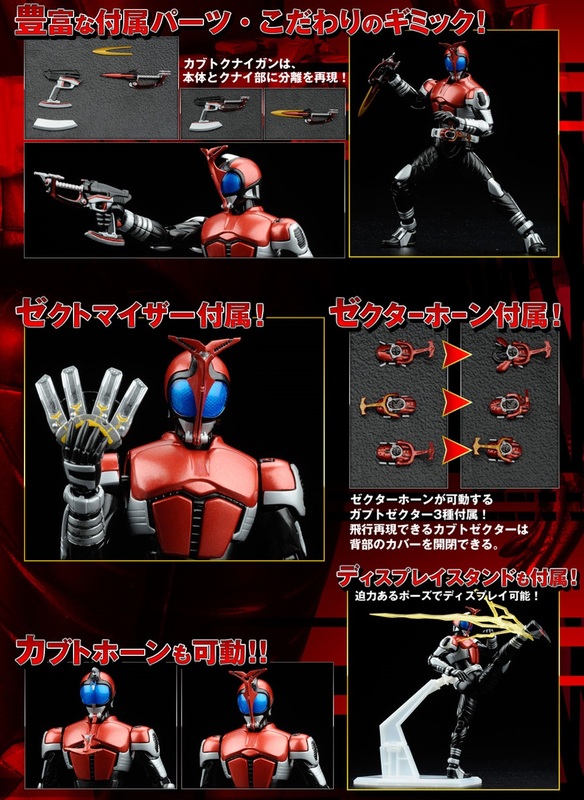 Faiz’s phone will be able to flip out and convert from phone and gun modes but even more shocking is that Kabuto will include the Kabuto Mizer, a weapon that both versions of his Figuarts missed. 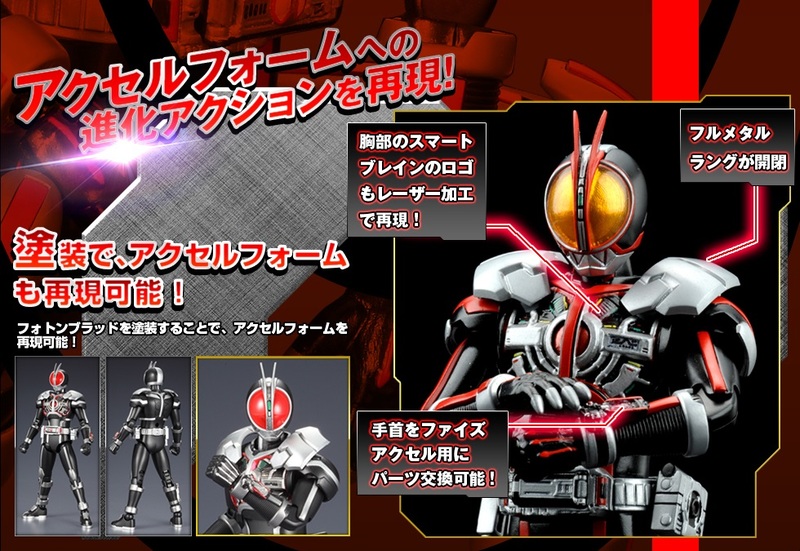 In addition, Kabuto’s image gallery has all but confirmed that we’ll be getting a Dark Kabuto version. 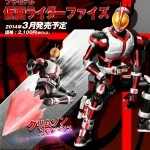 Both kits are still scheduled to come out in March, with Faiz retailing 2000 yen and Kabuto costing 2300 yen. 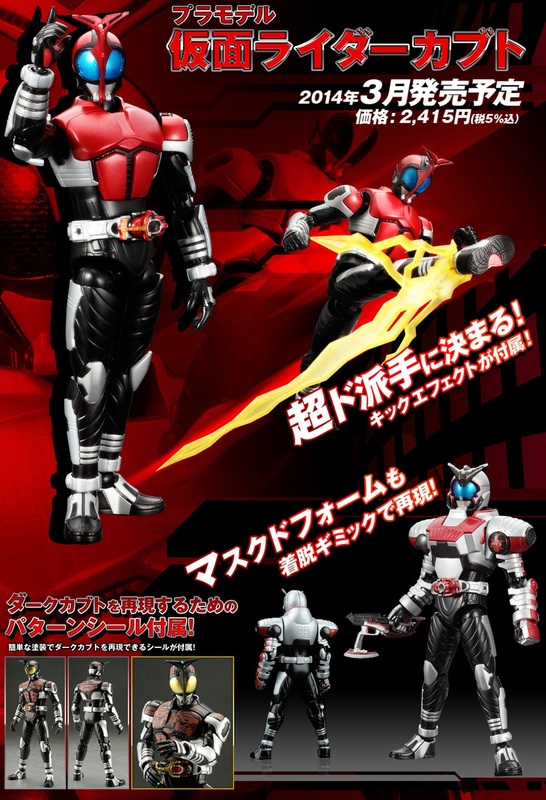 Well this is surpriisng…Bandai is bringing back the Kamen Rider Plamo kits not with Fourze but Kabuto and Faiz. Depending on the cost, I'd be kinda interested in'em. Awesome. I built the MG Figurerise of Ichigo and I was thoroughly impressed. I was almost going to pick up the Tiger and Bunny Figurerise 6 kits since I wanted more, but I see these have come in the way of that. Faiz will probably be sticker hell though. Talk about a (welcome) curveball. Well I need these now. Oh hell yeah, I've got the OOO's and skull kits and love them, even though I usually can't get s.h. 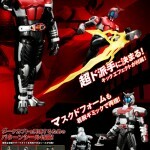 figuarts, hopefully I can get these. and hopefully it means we will get some more OOO's figurerises. Figurrise are my favorite models, and I'll probably also be after these. They're large and cheap for what you get it out of them. It looks like these no longer using the posable hands. 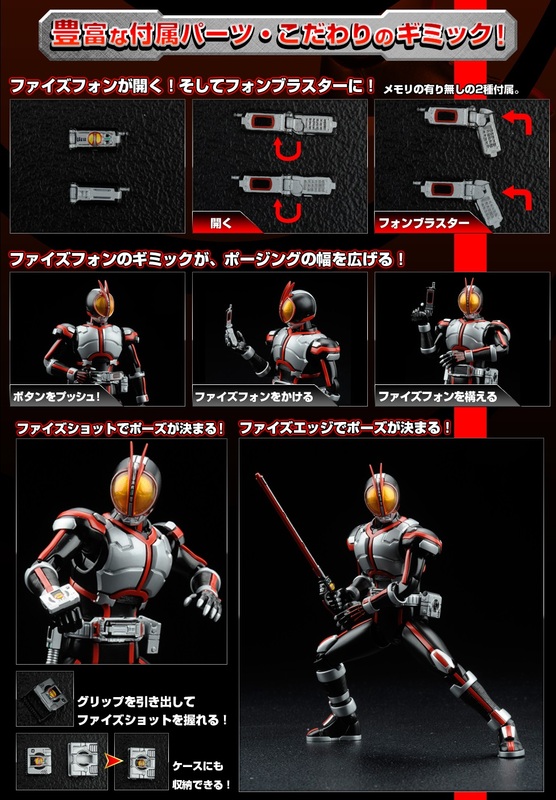 Well, these are Figurerise 6, the (relatively) new line which is 6-inch figures instead of the 8 or so of the original Figurerise line. 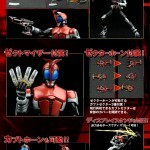 This line hasn't done Kamen Rider before, but all of the figures with hands have been solid like these. Oh, smaller. 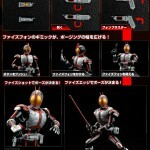 Almost in scale with SHF. Slightly bigger. I think I need these. I saw a few of the Tiger & Bunny models last year, but didn't look close enough to notice they were Figurerise. 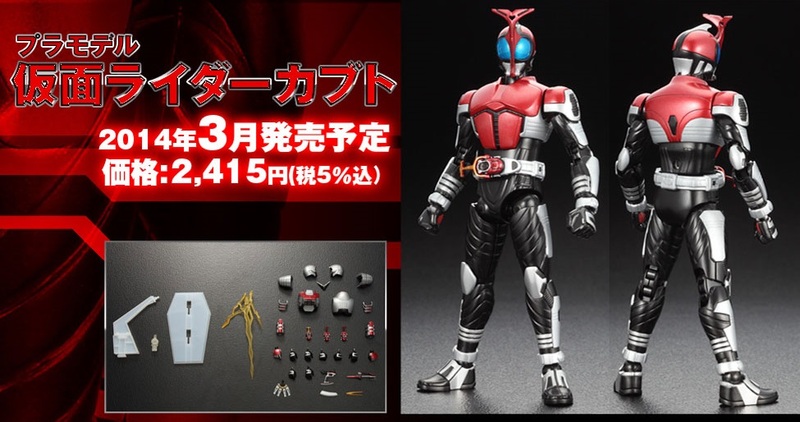 I thought they were just cheaper models sitting by the normal Figurerise versions of them. That's sort of a bummer that they'll only be about 6 inches.